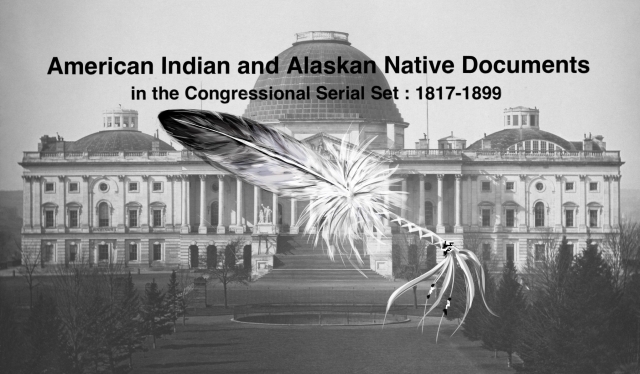 Message from the President of the United States to the two Houses of Congress at the commencement of the first session of the Thirty-sixth Congress : Report of Commissioner of Indian Affairs, 1859. Annual Message to Congress with Documents; Pres. Buchanan. 19 Jan. SED 2, 36-1, v1-4, 2417p. [1023-1026] British control of Indian depredations on Vancouver Island; military posts to control Indian depredations in the Southwest; annual report of the Sec. of War (Serials 1024-1025); annual report of the Sec. of Interior (Serial 1023); annual report of the Gen. Land Office (Serial 1023): annual report of the CIA (Serial 1023), including trust funds and finances, conditions on reservations, civilization, hostilities, and reports of Supts., agents, and schools; etc.